As someone who has dry, damaged hair from years of straightening, dying and generally mistreating my locks; using a hair oil that repairs, smooths and conditions is essential in my routine. I'm now on my fourth bottle of the Schwarzkopf Got2b Oil-Licious Tame and Shine Styling Oil*, so I thought it was about time I shared my glossy locks secret. This has a non-greasy formula which is enriched with Argan oil. I like to use this before blow drying as it delivers soft, smooth and manageable hair every time. During styling I apply a dollop of oil into the ends and lengths of my hair to keep my locks looking nourished, healthy and thoroughly tamed. This oil has considerably contributed to the growth and condition of my hair over the past year, as it has helped to keep my red hair vibrant and soft, so I now swear by it if you're looking to grow your hair fast. 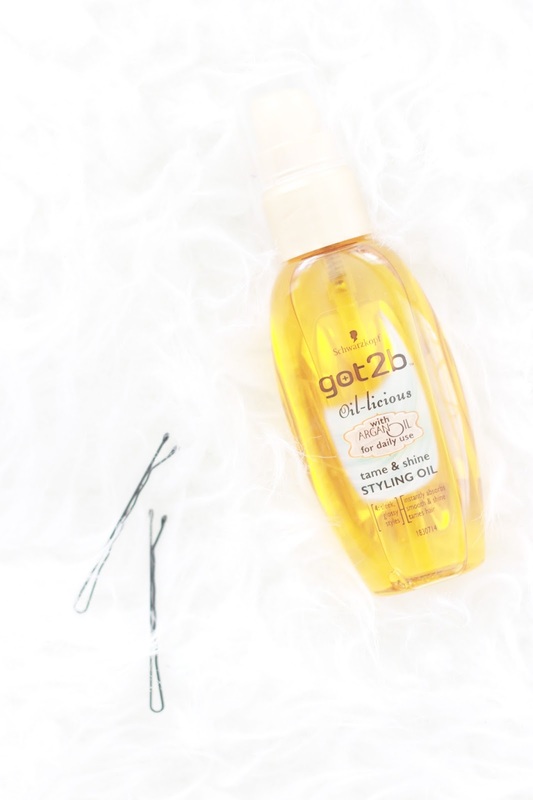 If you're looking for a lightweight, fast absorbing hair oil for under £5, then you can't go wrong with this offering. Have you tried the Schwarzkopf Oil-Licious Oil?